I want to take this time to thank you for sharing the "Racism&apos;s Hidden Toll" article (July/August) with Miller-McCune readers. It is absolutely therapeutic to hear an outsider talk about what many outsiders do not want to talk about. I am a 47-year-old African-American woman who experiences sometimes blatant, sometimes subtle discrimination and racism — where I work, where I leisure, where I shop, where I live. It&apos;s almost a daily experience. Up to my early 40s, I just accepted it, but I always knew that these types of experiences were definitely taking a toll on me physically and emotionally. I am pursuing a master&apos;s degree and had taken several sociology courses when what I believe is subtle discrimination played a part in deterring me from further pursing that master&apos;s degree. I also struggle to advance in my current employment atmosphere due to blatant discrimination against African Americans. I thank you, Dr. Geronimus, for speaking about what many still do not speak about. Since your first publication, I have read nearly all your articles and found them stimulating as well as fair and balanced. However, your cover article in the July/August issue titled "Weathering, the Storm" fell far short of those standards. Much of the article pertained to conclusions readily accepted and downplayed what is more likely the truth behind economic disparities in the United States. Clearly, Arline Geronimus has compiled a respectable body of work in analyzing the causes of higher disability and mortality rates in African Americans and other minorities living in challenging socioeconomic environments. However, that this causes stress and is therefore the culprit is not all that revealing. Stress from living in polluted, high-crime, urban areas is clearly a "weathering" source and would logically lead to higher mortality rates. But, if it is true that these rates also follow middle-class African Americans because of racially driven economic disadvantages such as lower raises and fewer work promotions, then why don&apos;t we find the same statistics in Caucasian women who have faced similar disadvantages in the American workplace longer than African Americans? What is revealing are the anecdotal accounts of pregnant African-American teenage girls who admitted to being "overjoyed to have children." These young girls, in spite of all efforts to encourage them to make better choices, have made a deliberate decision to have children and thus limit their economic opportunities. Worse yet is her observation in one community that the "families embraced their expectant daughters." These facts point to the conclusion that it is a cultural predisposition that is responsible, not overt racism as the author would like us to believe. I was a student of Dr. Geronimus as a health policy grad student in the late &apos;80s. Some people criticize her for having an "agenda," but, more than anything, she emphasized being a critical consumer of research. I&apos;ve tried for years to describe her research and theories to others, but it&apos;s wonderful to have a very accessible article to share that summarizes it very effectively. Concerning your article "Indiana Jones and the Temple of eBay" (July/August): The article&apos;s premise, that there are so many fraudulent antiquities sold on eBay that the market has been flooded with them and it has reduced the demand for authentic artifacts and consequently lessened the incidence of pillaged historic sites, since artifacts are easier to make than to dig, is incorrect on all counts. I collect, I do not sell, antiquities. A large number of them I have bought on eBay (over 1,000). The eBay sites that auction antiquities are among the most vetted sites on the Internet. Dealers and collectors, not to mention eBay itself, have a vested interest in keeping the antiquities site clean of fakes. EBay demands that the detailed description accompanying each item explicitly state that the piece is authentic, or it is not. The seller can say it is "old," (it might be old) but old is not authentic, and everybody shopping on eBay knows it except Charles "Chip" Standish, perhaps. If the collectors and dealers monitoring the sites suspect a fake, they can and do contact eBay. If there is agreement on the issue, the seller is required to revise the description and remove the word "authentic" and the fraudulent date or withdraw the piece from the sale. These collectors and dealers are just as capable of determining an artifact&apos;s authenticity from a photo as "Chip" is — although, I have my doubts about "Chip." He seems kind of young to be calling himself "one of the world&apos;s leading experts" on anything. His only credentials are that he teaches anthropology, has had an article published in Archeology magazine and has the implicit endorsement of his two buddies. When he characterizes the thousands of collectors and dealers that use eBay as either "greedy" or "fools," I question his judgment, at the least. I also question his knowledge of antiquities. Here&apos;s why: In the article, "Chip" makes reference to a fake $15 Neolithic arrowhead. There are millions of authentic Neolithic arrowheads, and they generally sell for less than $15 each. The shifting sands of the Sahara, where they are found and where there was a lush savanna in the Neolithic period, continually expose more of them. Their price is low because of their ubiquity. Collectors already have more of them than they want. I give them to friends. They are beautiful and authentic, and nobody wants them. 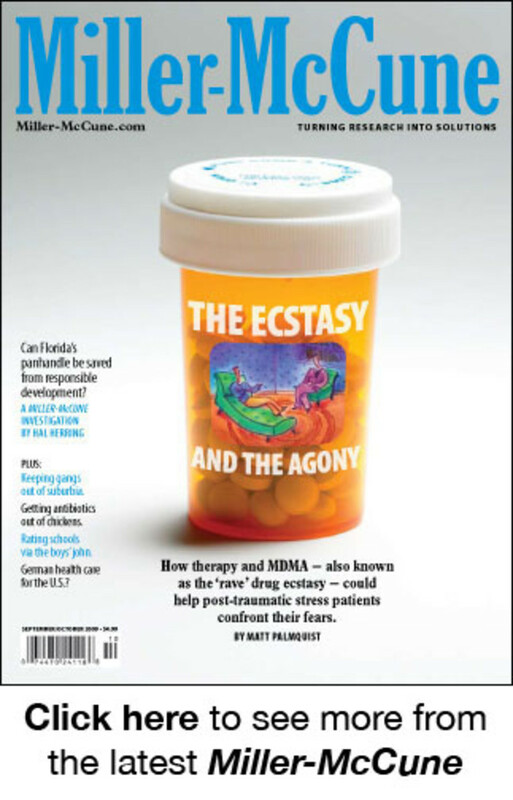 As for Matt Palmquist, for a journalist, writing for a publication ostensibly concerned with science and research, to publish an article making outrageous and unsubstantiated claims about a field he knows nothing about and to base the entire premise of the article on the hearsay of a single person who appears to have his own agenda, with no attempt at corroboration, is disturbing to me. Finally, I have no connection to eBay other than to shop. This letter is not even in my best interest since it would be fine with me if fewer people bid against me on eBay. I just wanted to set the record straight. P.S. I just re-read the article. The interview was done over the phone! I wonder if he even got eBay&apos;s permission to use their photos? Where is the research? Where is the proof? Sure, it all sounds plausible, but it&apos;s totally wrong. P.P.S. So I&apos;ve decided to send you proof that at least one statement by "Chip" was a fabrication. Attached, is a Neolithic arrowhead, of which, as I said, there are millions. You can keep it. It was found in the Sahara Desert, as are all "Neolithic" arrowheads, and dates from 3000 to 5000 B.C. It has a value, as a genuine Neolithic arrowhead, of about $2. The nicer ones, more finely made, more delicate and made of a more colorful flint, can be bought, in quantities, right now on eBay for less than $15 each. 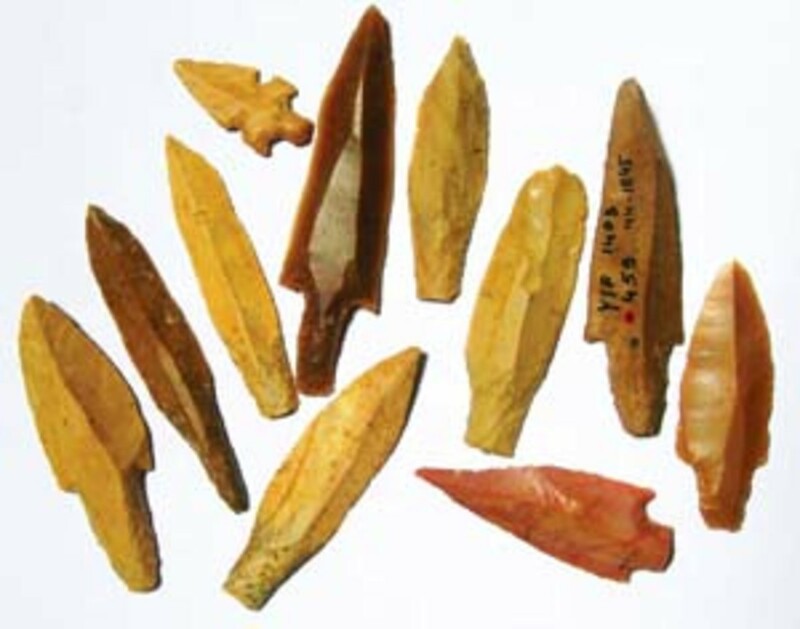 There are no fake Neolithic arrowheads. Nobody even wants the real ones.